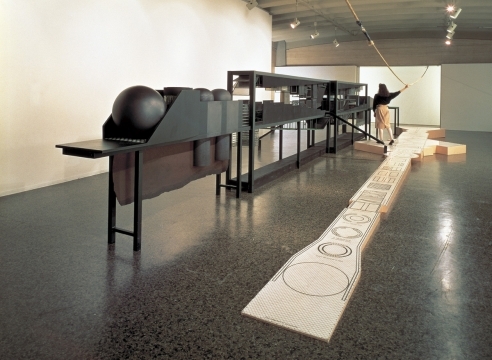 The Niigata City Art Museum, Niigata, Japan presents an exhibition featuring several artworks by Arakawa and Madeline Gins, including a large-scale model of The Process in Question/Bridge of Reversible Destiny. The exhibition will travel through four public museums in Japan from February 2019 until March 2020. Documentary Film - International Edition DVD: Now Available! 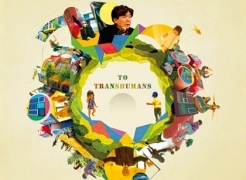 Reversible Destiny Foundation is pleased to present Shusaku Arakawa: Trans Japan, Cis Japan - an article by Dr. Shin-Ichi Fukuoka about the works of Arakawa and Gins. 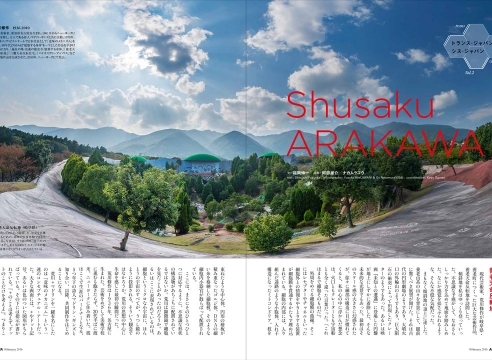 Originally published in Japanese in WINGSPAN February 2016 issue, pp. 80-6. Translated and republished here with permission from the author and ANA WINGSPAN - the monthly in-flight magazine from All Nippon Airways.